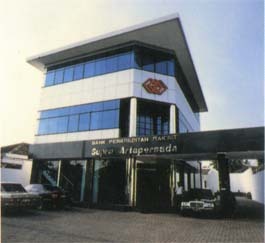 Established in 1993, BPR Supra Artapersada give short, medium and long term credits to some small and medium regional bussines people in small towns. With an asset of over 10 billion rupiah, BPR Supra Artapersada has been warmlly welcome by the public since its main objective is to support the government's program of helping small industries and regional economic development. For another next year, BPR Supra will open more branch office in some other town located in West Java.